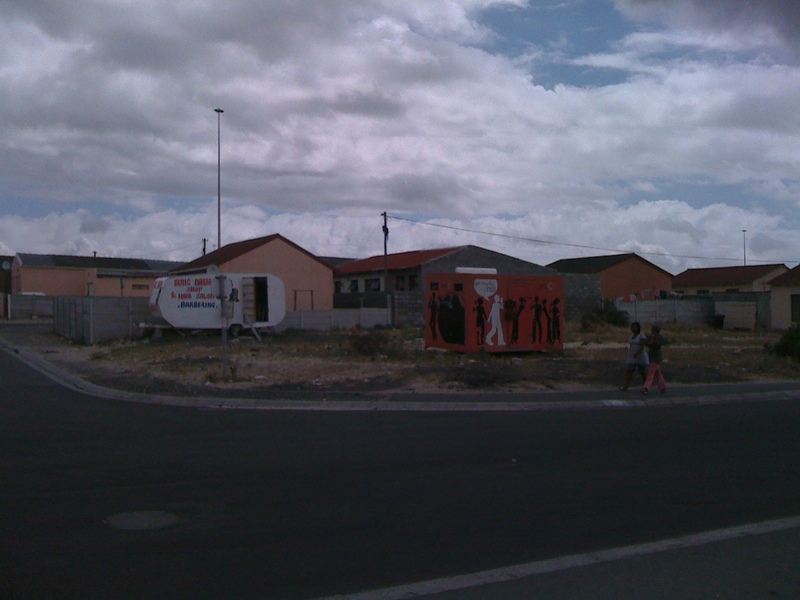 While in South Africa, I conducted a focus group on our new female condom animations with women in Khayelitsha. 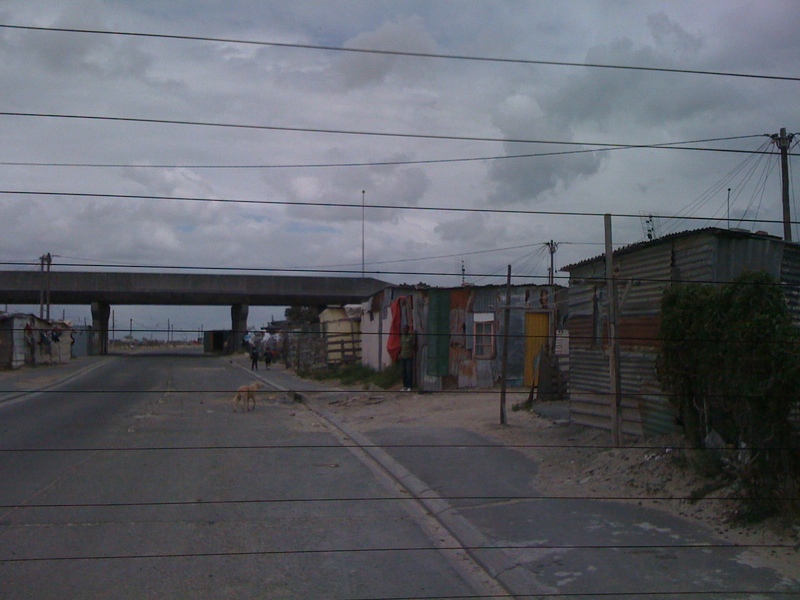 Prior to my visit, I was warned about going to this neighborhood – it is one of Cape Town’s most impoverished townships, and I was not able to find a metered taxi service to take me there from my guest house. 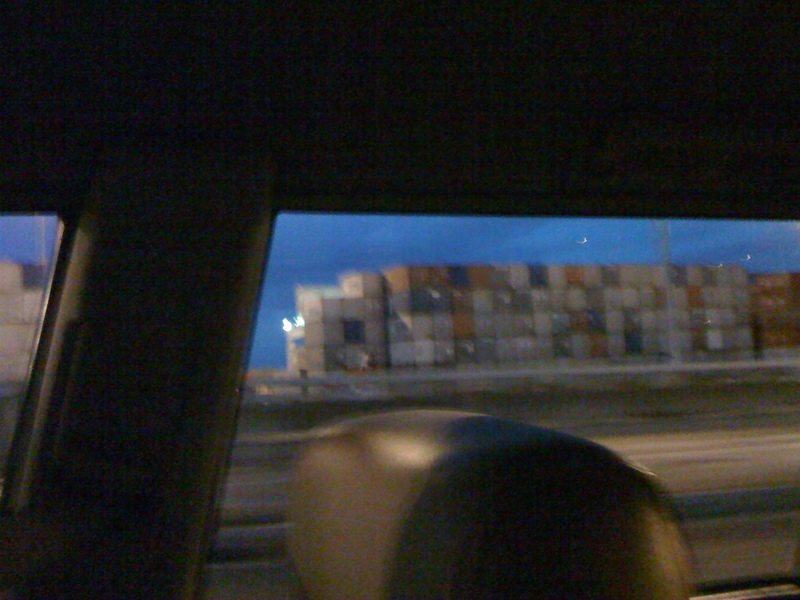 I was finally able to negotiate a day rate with a driver from Excite Taxi – he drove me there and, for my safety, insisted on waiting for me during my focus group, then drove me home to Kingslyn afterward. 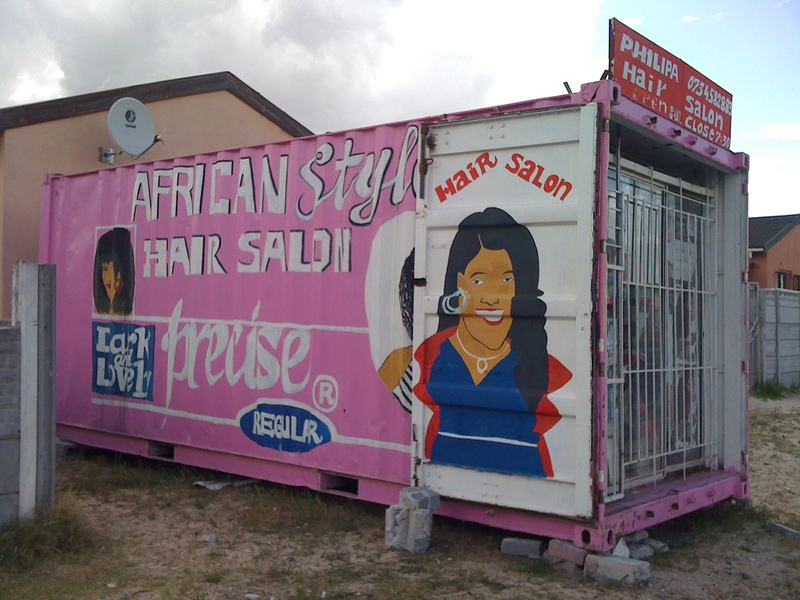 One of the first things that struck me about Khayelitsha is that many of the stores (hair salons, pawn shops, stores to buy credit for your mobile phone) were housed in discarded shipping containers. 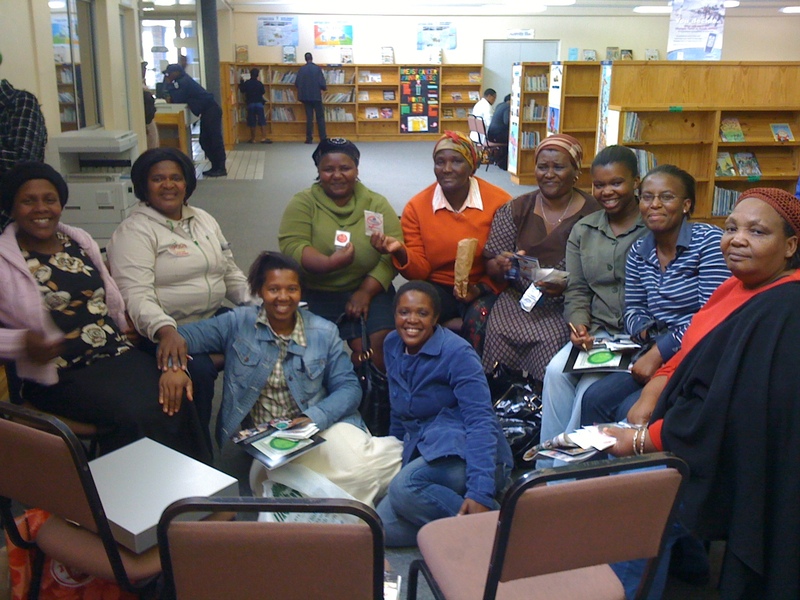 When I arrived at my destination, the Masakhane Public Library, I was greeted with nothing short of warmth and kindness – I am always touched by the ways that underserved communities truly make the most of what they are given, and how they are so generous in sharing their resources with visitors. I cannot thank these women enough for welcoming me into their lives for this one afternoon. 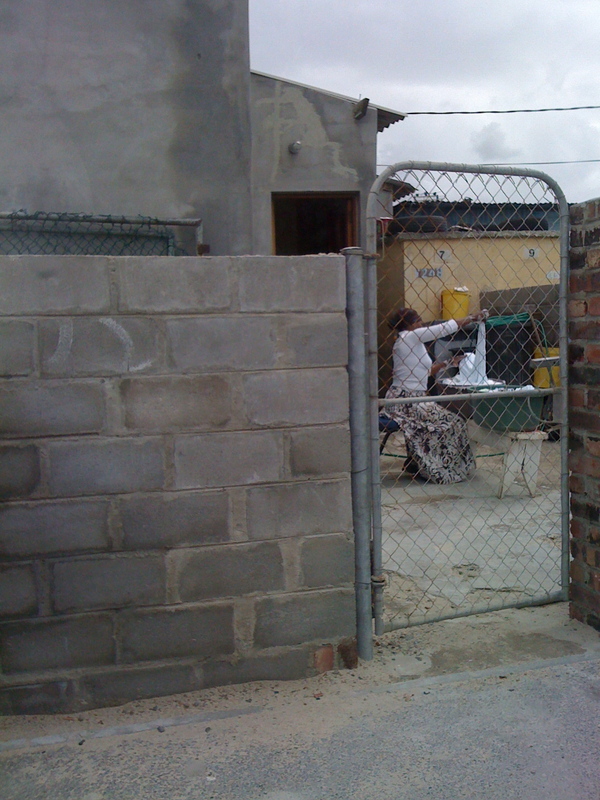 The information they shared about themselves, their work and the gender dynamics within their culture was invaluable. They showed me that they, the women of South Africa, are the movers and shakers – they are committed to CHANGE and to greater education and awareness about HIV in their communities. During our focus group, I was told that many South African men are against any type of sexual “barrier” that one can see and verify, and this cultural sentiment is the biggest challenge to encouraging consistent condom use. I also learned that, although English is very widely spoken, there is a great need for educational tools in their own local languages. 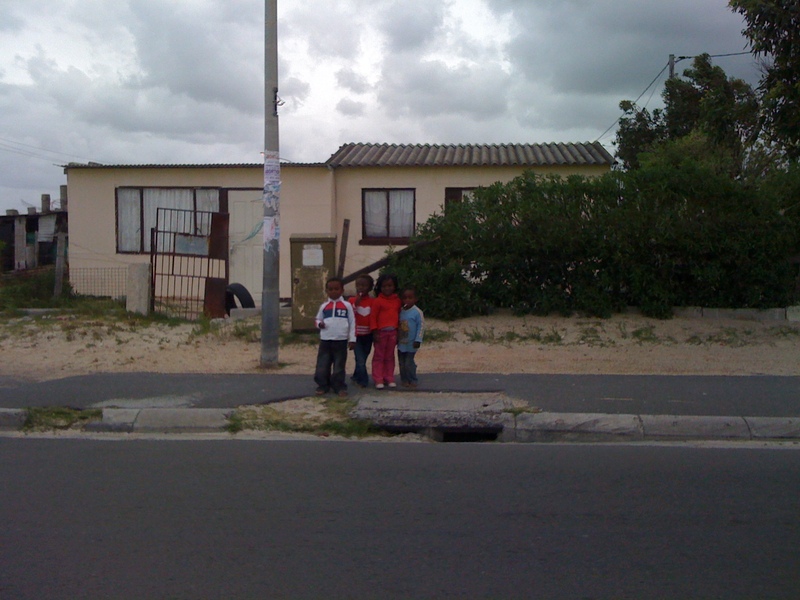 South Africa has 11 official languages: Afrikaans, English, IsiNdebele (Ndebele), IsiXhosa (Xhosa), IsiZulu (Zulu), Northern, Sotho (Sepedi), Sesotho (Southern Sotho), Setswana (Tswana), SiSwati (Swati), Tshivenda (Venda) and Xitsonga (Tsonga). The non-official languages include Fanagalo, IsiCamtho (Tsotsitaal), Khoe, Nama and San, Lobedu, Northern Ndebele, Phuthi and Sign Language.